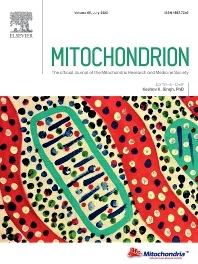 Mitochondrion is a definitive, high profile, peer-reviewed international research journal. The scope of Mitochondrion is broad, reporting on basic science of mitochondria from all organisms and from basic research to pathology and clinical aspects of mitochondrial diseases. The journal welcomes original contributions from investigators working in diverse sub-disciplines such as evolution, biophysics, biochemistry, molecular and cell biology, genetics, pharmacology, toxicology, forensic science, programmed cell death, aging, cancer and clinical features of mitochondrial diseases. MitoMatters: Editorial and news of general interest invited by Editorial Office. Profiles and Perspectives: Invited by Editorial Office and written by senior investigators in the field. The Mito Mew: Editorial and news of general interest. Review Articles: Reviews of major importance in mitochondrial biology. These articles will be peer-reviewed. Articles may be of any length; however, unusually long articles should be discussed with the editor before submission. Fast Track Articles: Peer-reviewed, short studies that are refereed rapidly and published generally within 10 weeks. These papers should be a concise complete piece of work of special significance and timeliness and should not exceed 4 printed pages (i.e., 10 pages of double-spaced typescript, including tables and figures up to a total number of 4). Original Articles: Peer-reviewed, high-quality, concise research investigations that represent new and significant contributions to science. Letters to the Editor: Comments on papers published in the Journal and on other matters of interest to mitochondria researcher. Book Reviews: invited by the editorial office. Announcements and Calendar: Providing notices of forthcoming meetings, courses, and other events relevant to mitochondria researchers.